A hima is a reserved pasture, where trees and grazing lands are protected from indiscriminate harvest on a temporary or permanent basis. It existed in the Middle East before Islam; but it was treated as a private reserve for powerful chieftains. This institution knew a renaissance in the last decades, when major political, economical and social changes took place in the Levant and the Arabian Peninsula. The paper reviews the changes that have taken place in Syria, Jordan, Saudi Arabia and Yemen with regard to the hima. 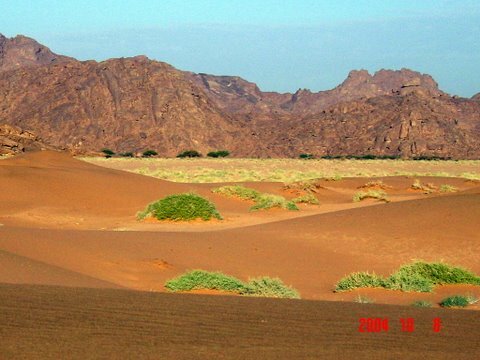 Figure 1: Sinai, Egypt, Red Sea Nubo-Sindian tropical desert and semi-desert (Source). A himā (to be pronunced ħimā) is a reserved pasture, where trees and grazing lands are protected from indiscriminate harvest on a temporary or permanent basis. It existed in the Middle East before Islam; but it was treated as a private reserve for powerful chieftains who were said to have used it as a tool of oppression. With the emergence of Islam, its function changed; it became a property dedicated to the well-being of the whole community around it. Tribes had their own himā-s with the permission of the state, and acted as self-government in the absence of state control. This institution flourished through the first half of the 20th century, when major political, economical and social changes took place in the Levant and the Arabian Peninsula. The paper reviews the changes that have taken place in Syria, Jordan, Saudi Arabia and Yemen with regard to the himā. Modern researchers and consultants of governments in the region still recommend using this traditional institution, because they believe that its revival and extension for land improvement based on cultural principles would be successful; it would not require the introduction of alien social institutions or values. But this paper recommends some modifications required to adopt this traditional system in the current societies of the region. Early in their development, humans realized that it is an essential task to master the art of prudent manipulation of renewable and non-renewable resources. Religion, mythology and social pressures -along with a genuine desire to conserve- all influenced the development of conservation practices in early times. The actual motives varied widely. To some nations, such as the ancient Egyptians, Indians and Incans, some animals had special religious significance. Some other species were left aside because they were considered unclean or inauspicious. On other occasions, the interest of rulers in hunting was the reason behind habitat enhancement as a means of stimulating game production. Construction of royal pleasure or hunting parks and zoological gardens was widely practiced in ancient Mesopotamia, Egypt, China, Inca and Aztec lands, and Roman Italy. The regulations varied in those parks. Some banned tree cutting; others prohibited the netting on certain fish species. Some periods of hunting prevention were specified; and some species were protected by royal edicts. Incans and Assyrians banned killing females of "useful" species, i.e. the animals that can be used for food, transportation, hunting, agriculture, etc . Figure 3: Topographic map of the Arabian peninsula. Created with GMT from SRTM data. (Picture in the public domain, 2007). Those ancient steps towards conservation of nature were not long-term trends. Measures were adopted sporadically; and no specific evolutionary development can be traced. But the case of "himā" system is different, as we review it here. The word "himā" (hema in some references) literally means "protected or forbidden place". The term was used in pre-Islamic Arabian Peninsula for an expanse of ground, with some vegetation, access to and use of which are declared forbidden by the man or men who have arrogated possession of it to themselves . Later, its meaning became: a reserve, sometimes a seasonal pasture set aside to allow its regeneration . The area under the himā protection was not to be built upon or used as a trade commodity, nor was it to be cultivated for financial gain. It can imply closing certain areas to grazing for a specified period; this period starts with the first showers, in the rainy season or winter, and continues into the dry season to allow sufficient time for grasses, forbs, shrubs and trees to grow and set seed for subsequent regeneration. The system sets aside an area as a grazing reserve for restricted use by a village community, clan or tribe as a part of a grazing management strategy . Grazing is prohibited, cutting is permitted during specific periods. This is when plants reach to a certain height of growth, after they flower and bear fruit. The cut branches are taken outside the himā to feed the livestock. The tribe council specifies the number of people from each family allowed to do the cutting. Certain trails are specified for the workers, to prevent destruction of soil fertility. Certain days are allocated for men; others for women . Grazing and cutting is allowed only after flowers and fruits are produced. This allows natural seeding of the soil for the next year or season. Grazing is allowed all year, the number and type of animals are specified. No restriction on grass-cutting. Reserve for bee-keeping. Grazing is allowed only after the flowering season. These reserves are closed for five months of the year, including the Spring months. Reserve for forest trees, e.g Juniperus procera, Acacias spp., Haloxlon persicum. Cutting is only allowed for great emergencies or acute needs . Reserving a woodland to stop desertification of an area or sand dune encroachment . 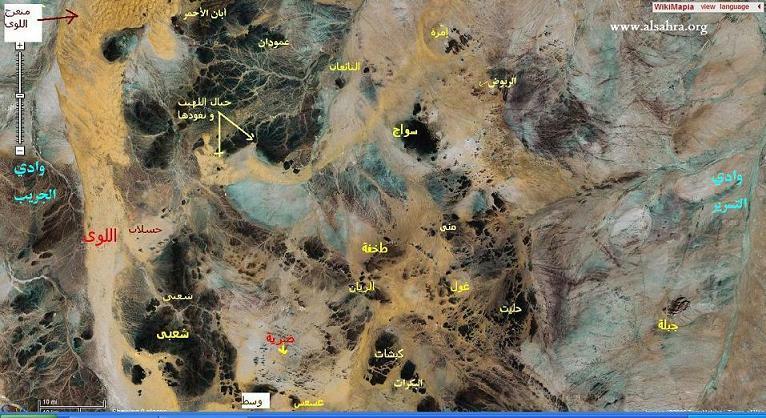 Figure 4: Air view of the himā Dhariya in the great plateau area of Najd, a region in the Arabian peninsula that lies east of the Hijaz and Asir (by The desert team, July, 2007). (Source). The institution of himā, which dates back to pre-Islamic Arabia, seems to have a secular origin. To protect their flocks from the ill-effects of drought, the powerful nomadic lords used to reserve to themselves the grazing and watering rights in certain rich pasturages . As stated by Llewellyn: "A good ruler or tribal chieftain would presumably have used the himā for purposes pertaining to the welfare of his people; however, according to al-Shāfi‘ī (died 820 CE), the pre-Islamic institution of the himā was widely regarded by the common people as an instrument of oppression" . This was mentioned by medieval Muslim historians when discussing the Islamic regulations of the himā, to compare its status before and after the Islamic state . A famous incident took place when the chief Kulayb, having appropriated certain meadows, fixed as the limits of his himā the points within earshot of his dog's bark. A strange she-camel having strayed into the middle of his herd, he shot an arrow which wounded it mortally. In reprisal, his brother-in-law killed him. That was the originating event of the 40 year Basūs war . Although it is likely to be of secular origin, the himā was sometimes placed under the protection of the tribal deity. It was then assimilated with an inviolable zone (haram or harīm)  in whose privileges it participated. Its fauna and flora were protected; and it enjoyed the right of asylum. Some idols' himā-s were inviolable, as reported in literature. The animals consecrated to them grazed there safely, and no one dared to kill or steal them. The straying animals that crossed over the boundary were lost to their owner, for they then came under that god's tutelage . Islam promoted this institution, but in doing so abrogated the earlier practices and transformed the himā 's functions. It was still characterized by great flexibility. To be valid in Islamic law, it had to meet four conditions, which were derived from the practices of the Prophet and the earlier caliphs. must be established in the way of God; that is, for purposes pertaining to the public welfare. The area to be declared as himā should not be so large as to cause undue hardship to the local people, and it should not deprive them of indispensable resources. It must realize greater actual benefits to society than detriments. The overriding aim of the himā was the economic and environmental benefit of the people . Figure 5: View from Matāli' near Amra, in a himā region in the Arabian peninsula. (Source). The caliph Omar ibn al-Khattāb (reigned 634-644 CE) instructed the manager of Rabadhah himā by saying: "Lift your wing from the people! Heed the complaint of the oppressed for it will be heard by God. Let enter those who are dependent on their camels and sheep; and turn away the livestock of Ibn ‘Awf and Ibn ‘Affān (two rich Companions of the Prophet) , for they can fall back to their palms and fields if their livestock should perish. Whereas the needy ones, if their livestock perish, will come to me crying (i.e. asking for financial help). It is easier for me to provide them with pasture than to spend on them gold or silver. Indeed it is their land, for which they fought in the time of ignorance (i.e. before Islam) and upon which they embraced Islam". He also said: "All property belongs to God and all creatures are but servants of God. By God, if it did not bear upon the cause of God, I would not have reserved a hand's span of the land" . The Prophet Mohammed established the himā of al-Naqī' near Medina for the cavalry, and made Mecca and Medina two inviolable sanctuaries (haram-s). Hunting was forbidden within a radius of four miles around Medina, and destruction of plants within twelve. The caliphs who succeeded him established additional himā-s for the cavalry, the camels allocated for charity, and the livestock of the poor . Strong rules were set forth by the Prophet and early caliphs regarding himā. The Prophet said: "Nobody has the right to declare a place as himā except God and His Messenger". In this way, himā became a symbol of redress and restoration of justice and acquired a status similar to an inviolable zone (haram or harīm), in that it denoted a sanctuary, with its flora and fauna receiving special protection . During the reign of Omar ibn al-Khattāb, the Companion and commander Sa'd ibn abī Waqqās found a slave man cutting the trees of the himā. He beat him and took his axe away. A lady relative of the man went to the caliph complaining to him about what Sa‘d had done to her relative. Omar said to Sa‘d: "Return the axe and clothes, may God's mercy be upon you". Sa‘d refused saying: "I do not give away that which the Prophet has granted to me. But, if you like, I can reimburse you for its cost". Then Sa‘d told the attendees that he heard the Prophet saying: "Everyone who finds anybody cutting in the himā, he should beat the cutter and confiscate his things." Sa‘d used the axe on his farm until he passed away (in 675 CE) . Similarly, if anyone was caught trespassing and violating the himā regulation, he was severely beaten by the caliph Omar ibn ‘Abdul‘azīz (r. 718-720 CE) . In Medina, when the Companion Abū Sa ‘īd al-Khudrī (d. 693) found a bird in the hands of some youth, he took it from him and let it go free. This happened on two other occasions, once with the Companion Zayd ibn Thābit (d. 665) and another with ‘Ubādah ibn al-Sāmit (d. 654). Abū Ayyūb al-Ansārī (d. 672) saw some boys besieging a fox at some corner; he ousted them saying: "Is this in the haram of God's Messenger?". Abū Hurayrah (d. 679) used to say: "If I see gazelles in Medina I wouldn't bother them" . Figure 6: Map of the Arabian Desert eco-regions as delineated by the World Wide Fund for Nature (satellite image from NASA, January 22, 2007). (Source: Images in the public domain). The system enjoyed a long life throughout the Middle Ages. As we see in this review, some traditional himā were the best managed rangelands in the Arabian Peninsula; they have been grazed correctly since early Islamic times and are among the most long-standing examples of rangeland conservation known. As mentioned by Llewellyn "few established systems of protected areas are known that have a history comparable in length with traditional himā" . According to information that we find in jurisprudence, geography and history literature, the himā continued to exist both around the cities and in rural and nomadic areas throughout that period. They varied in size from a few hectares to hundreds of square kilometres. Jurisprudents like al-Khattābī (d. 998), al-Māwardī  (d. 1058), Abū Ya‘lā (d. 1066)  and al-Suyūtī  (d. 1505) discussed the legal aspects of himā in their writings. History books tell us that the Rabadhah himā was deteriorated in 319H/931AD as a result of a long civil war between Rabadhah and Dhariyyah people. The Dhariyyah people sought the help of the strong Carmathian state; hence the Rabadhah people left their homes and himā to escape. Before that date, the Rabadhah area was the most beautiful on the pilgrimage road between Baghdad and Mecca. The Dhariyyah himā was known during the time of al-Samhūdī (d. 1506) . 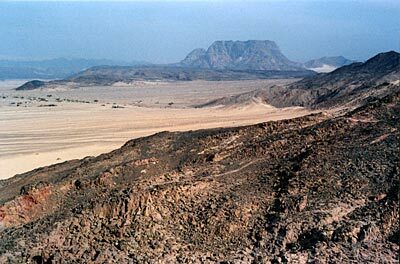 The sites of three himā-s in Rabadhah, Dhariyyah and Faid were excavated and studied by Saudi archaeologists. All of these three were oases and stop/rest points on the pilgrimage road from Iraq to Mecca. Hence, plenty of artefacts were found in each one. Six excavation seasons were carried out by Sa‘ad al-Rāshid and his team during the period 1979-1983. Their findings are published in specialized journals and in a book for public . The author states: "The fact that al-Rabadhah, unlike other Islamic towns, was not re-inhabited after its destruction has enabled us to determine the chronology of its occupation with some accuracy. With its palaces, houses, mosques, suqs, wells, reservoirs and underground water tanks, al-Rabadhah demonstrates not only the rapid growth of the pioneering early Islamic towns but also gives us a picture of the administrative and organizational policy followed by the new Islamic state in town planning, whether it was in Madīnah, Damascus or Baghdad ." Foundations of buildings in the ancient town. The water supply structures: wells, underground conduits and shafts of springs, above-ground channels, ponds and the dam there. Surface finds: fragments of pottery and glass, and pieces of soapstone. Excavations revealed two periods of dwelling in the area. The earlier period (7th-early 8th centuries) was characterized with simple artifacts. But the finds of the latter period (late 8th-early 10th centuries) were sophisticated pieces. These include glossy chinaware adorned with tin and lead, and delicate glassware . The archaeological field work informs us that the town was a place of inhabitancy until the early 10th century only, while al-Samhūdī mentions its existence in the 16th century. This means that it was known later to the nomads as a pasture, not a pilgrimage transit town as it was before. The site of Faid was excavated and studied by Fahad Al-Hawās. In 2003 he presented a doctoral thesis on the subject . But excavations still continue on the site, and the found artefacts are exhibited in the local museum of Hā'il and in the university in Riyadh . Around cities the himā-s followed the system of charitable endowments (waqf) . They were endowed properties. During the reign of Nūr al-Dīn ibn Zangi (Nureddin in English literature, reigned 1146-1149) an area close to the old town of Damascus, called al-Marj al-Akhdhar (the green lush meadow), was reserved for the aged retired horses. It remained as such until around 1930, when Damascus started expanding beyond the old town. It occupied a large area that extends now from the Umayyad Square to al-Marjah Square, including the old Damascus International Fair (DIF) . In 2004 the Syrian government decided to use the DIF land for building an amusement park, for keeping the area lush as per the endowment . Because the rural and nomadic areas were not under the firm control of central governments, the local authorities were the custodians. For centuries, local inhabitants of the rural and nomadic lands have successfully established environmental planning and management strategies which balanced the settlements' growth and natural resources uses according to Islamic laws and the tribal self-government . Tribes were given the authority by the Prophet to be the custodians of their himā-s, and to control them on behalf of the central government. Chieftains and tribe delegates used to visit him and obtain his approval for a himā around their villages or camps . Figure 7: Desert view in Saudi Arabia showing reddish color of sand and rocky hills in the background. (Source). As shown by most of the researchers who studied this subject, tribal self-government continued to control the himā-s and to take care of pastures through the first half of the 20th century. This was the case in Jordan, Syria, Yemen and Saudi Arabia, where studies were conducted. Environmental management was fundamental to both the cultural and spiritual survival of the tribal society. The control of land use and urban form in tribal society was through consensus rather than prescribed legislative or institutional control. Such consensus brought political control and influence which were vital in the effort to bring ecological sensibility to the management of natural resource in tribal lands. The traditional political system in tribal society settlements was administered by a shaykh (chieftain, or sheik in English literature) of the settlement, or the nā'ib (representative) of the tribe. The chieftain or the nā'ib had the full power to implement agreed upon environmental rules, and to punish persons found guilty of an infraction. He was assisted by a planning commission in the form of a permanent committee, equally representing the kin-groups living in the settlements; two to eight persons form the council and other administrative groups appointed by the settlement council. One group was involved in the management of rainwater runoff, guaranteeing its fair distribution. Another group, in charge of the natural landscape, especially quarries, forests or grazing lands, reported environmental misconduct to the settlement council. The council would decide the type of punishment and the value of fine. The group members were also responsible for proposing improvements to the vernacular landscape and preventing any expected hazards. A third group was in charge of the tithe, one-tenth of the total agricultural harvest to be allocated to the settlement treasury. A fourth group was in charge of business transactions, the weekly market and the settlement's affairs. Any expenditure needed for improvement of landscape and local issues was approved by the planning commission and the chieftain, who verbally authorized the release of settlement moneys . actual herd sizes were smaller implying less competition for pastures . Violations of the himā were traditionally punished by the slaughtering of one or more of the trespassing animals; but in more recent times sanctions have generally been fines and -in case of repeated offence- imprisonment . These conditions have all been transformed within the first half of the 20th Century. The nomads have come under control of central governments of relatively small countries (compared to the Ottoman Empire and the preceding dynasties); tribal lands have been nationalized. The herders acquired trucks to transport animals; herding is largely done by hired shepherds and herd sizes are now very large. A growing population has demanded more land for housing, farms, and pasture, and the needs of village farmers have changed. In Jordan, these new changes in society lead to the situation where grazing is virtually uncontrolled on various rangelands . In Saudi Arabia the government wanted the tribes to be unified under one umbrella; hence it took the responsibility of management and security of the rural lands through governmental agencies. In 1954 a decree was issued designating the Ministry of Agriculture and Water as the custodian of the rural lands in this country. This created a new statute for the himā-s that became public lands. There was no immediate alternative conservation system. The first national park in the country (i.e. ‘Asīr National Park) was established in 1980. The National Commission for Wildlife Conservation and Development (NCWCD) was established in 1986. The period between the banning of the himī system and the start of constructing national parks and protected areas was a period characterized by severe destruction of the plant cover through overgrazing and felling of trees as well as over-hunting of wild animals. That period extended the tasks of the governmental agencies, not only to conserve the continuity of the plant cover which was depleted, but also to restore part of it . Overgrazing was aggravated by a number of factors, including a rapid increase in the number of animals to meet the demand for red meat of a growing population . An estimated three thousand himā-s existed in Saudi Arabia in the 1950's . The studies that were conducted until 1990 mention that some himā-s still exist . But a report issued by the NCWCD in 2003 mentions only four that are called "old himā-s" that are managed by the Ministry of Agriculture, in addition to a few dozen himā-s that are still managed by local communities in "isolated" rural areas. The NCWCD report says: "Many of the traditional himā s as well as many terraces have been either abandoned or disappeared under fields that are suitable for mechanical cultivation. In some cases, this has replaced sustainable systems of land use with ones that require increasing inputs of water and management to maintain their productivity, but is has also markedly reduced the diversity of habitats" . In Syria, the role of local authorities in resource management underwent a dramatic change in the years after independence in 1946. During their mandate (1925-1946), the French had recognized tribal authorities and territories and regulated these through special acts. Tribes were legally recognized and their territories mapped. Even before independence, land use on the steppe had begun to change in important ways. In the years after 1940, mechanization for wheat cultivation spread rapidly in these rangelands. The government of independent Syria considered nomadism a backward way of life, and nomads were pressured to settle. New villages were created and landholdings allocated. Boreholes and earth dam construction increased water availability for livestock. Act No. 166 of 28 September 1958 abolished the tribal administration and effectively brought an end to the himā system of tribal land use regulation in Syria. The provision of new water sources in the absence of social control of land use gave rise to widespread degradation of the land resource . During 1961-1965, Omar Draz, a Syrian FAO adviser, worked in Saudi Arabia and observed the himā system. He was struck by its potential and the religious sanction behind the system. On his return to Syria he began to promote the restoration of tribal control of grazing. A new regulation (Act no. 140 in 1967) prohibited the expansion of cultivation and ordered that in the future all state steppe grazing land was to be managed under Range Improvement and Sheep Husbandry Cooperatives. The cooperatives created under the decree were identified according to geographical distribution instead of by tribal name. Homogeneity of members was maintained. Cooperative boundaries were mapped. The cooperatives' himā-s were demarcated on the ground by piles of stones and by ploughed strips along the perimeters. The borders of the cooperative himā-s were announced in a ministerial decree. Cooperative boards were mainly elected from among the chieftains and ‘arāfah (dispute settlers) of the tribes. Individual licenses bearing the member's photo were distributed as grazing permits. Natural resources, such as trees on the range, were put under the supervision of the cooperative, marked and inventoried . While a promising start was made, the program lost its impetus though political changes. In 1974 the cooperatives became part of the Peasant Union, a syndicalist group that reoriented the program towards water provision and other projects, rather than effective range management. There was widespread failure to enforce the prohibition of trespass on cooperatives' land, on the ground that revival of the system could revive tribal antagonisms. The himā system still continues to be applied effectively on private rangelands, and some cooperatives maintain the winter-summer rotation, though their himā areas are not guarded in their absence. The condition of the range has deteriorated . Ranges were under the control of tribes' councils; each tribe had its own council and chieftain. Loyalty of individuals was voluntary, not under pressure. The cooperative members and other Bedouin groups using the range lacked a common interest that was established by tribal affiliation. Only a small percentage of range users during the winter season seem to be cooperative members. Non-members of the cooperatives claim seasonal rights and use of areas of "cooperative lands" that traditionally belonged to their tribes. On the other hand the cooperative members who are mobile herders end up paying fees for stubble grazing. Having said this, there is a concurrent insistence in the project literature that: a) there was once a himā system that has now disappeared; b) no clear land tenure arrangement exists; and c) there is now an organizational gap that must be filled. The mechanisms of resource use that are in use today are not a focus of attention and therefore become invisible or are perceived as "unclear". Large animals, like camels and horses, eat the leaves of grown-up trees; while animals like goats act like locust: they destroy the pasture by overgrazing if not controlled. The himā system established over the 1970s was seized as an opportunity for some tribes to re-establish social distinctions with others. Once sheep-raising became widespread at the expense of camel-raising, the distinction between the "noble-patron" tribes (traditionally the camel-raisers) and the "common-client" tribes (the sheep-raisers) became blurred and could no longer be upheld on this basis. To re-establish this distinction, members of the "patron" tribes did not join the cooperatives; hence the government-sponsored himā cooperatives were composed mainly of "client" tribal groups . In Yemen, it was reported that the system was effective and widespread until the first part of the second half of the 20th century, when it began to decline in some areas, because of socio-economic factors. The cited sources did not specify those factors; but most probably they are similar to changes in society that were mentioned earlier when we reviewed the case of Jordan . Temporary mahjūr [himā]: a sort of short-term reserve consisting of a slope or grazing area adjacent to cultivated land, which is declared protected. The protected area is closed to grazing from sowing time until harvest each year. Temporary village mahjūr; part of a village's communal grazing land can be declared as protected for a specific period for the purpose of reserving forage to be used in the dry season. Permanent mahjūr: the area of a hill or mountain slope of variable size opened for common grazing use during dry season and the period needed. It is privately owned usually by more than one family. Trees in mahjūr areas are always privately owned and are utilized by owners only. Semi Rotational system, which is found in the Desert Plain and practiced by Bedouins. In this case their grazing land comprises many sites that are used at different times each year. Their use depends on vegetation re-growth and rainfall . A study was conducted in Kohlan-‘Affar, in the northern mountains of Yemen, where rangelands are the principal feed resource for livestock. They provide a major source of income to farmers, as well as wood for fuel, charcoal production and construction. Covering about 30% of the area, they include woodland, bare rocky ground, steep slopes unsuitable for cultivation, and collapsed terraces. The investigation assessed plant cover, biomass and species composition under various systems of grazing, in the mid-slopes and highlands in the spring and summer of 1996. The results showed that the various systems of grazing lead to varying degrees of degradation: communally owned range showed all signs of overgrazing, while restricted, privately owned range had a high density of palatable plants. The impact of different systems of grazing was clear on the mid-slopes. There, the richest vegetation was in a site where grazing was restricted by the range owners during the growing season. Grasses are harvested first by the owners before the range is opened for grazing . At a mid-altitude site, the community generally allowed open access; but periodically chose to restrict grazing to permit regeneration, but generally allowed open access. Unpalatable species covered 60% of this land, and palatable plants only 6%. This pattern was repeated in the highlands. An open range was exposed to erosion, with just 30% total plant cover (66% of which was unpalatable species). In comparison, a restricted rangeland, where the community decides which slopes shall be grazed each year, had twice the plant cover, 60% of which was palatable grasses . Figure 8: View of sunrise on the valley of Takhfa a himā in KSA. (Source). As we saw in Syria's experience, that country tried to use the concept of himā to manage their pastures; but their experience needs some revision. Do we really benefit from this traditional system? And, if so, in which fields? What modifications or improvements are needed to use it? The first question is answered by Llewellyn as follows: "The value of himā for the rehabilitation of rangeland, the stabilization and control of nomadic grazing, as indicators of range potential and better animal husbandry practices, and for the proper management of water catchment areas has been identified by a succession of researchers. Many himā-s are also located in areas of high species diversity or support woodlands and other key biological habitats and are thus important in preserving biological diversity. Their great potential for ecological and socio-economic research and development has received less attention. The importance to ecological research of areas that have been protected under a more or less defined management regime for a substantial period of time cannot be stressed too strongly. Reclamation of the grazing resources and their level of use during and after rehabilitation will be difficult to plan in the absence of base-line information on which to judge recovery and the capacity of the range to support wild or domestic herbivores at different stages during recovery. Such information is difficult to obtain in the absence of trial range sites protected from overgrazing. Well-protected himā-s provide a measure of potential plant species diversity and standing plant biomass under particular climatic conditions and management treatments" . Most countries in the region have established their own environmental government agencies in the last three decades of the 20th century. But, as Hamed says: "unless communities are well-informed and consulted during the development planning process, new projects and programs will not benefit from local knowledge and may never gain the support of the community. Movement towards environmentally sustainable development by any society involves more than establishing an environmental protection agency, raising environmental awareness, or providing technical training. It requires comprehensive efforts on all fronts to strengthen the sustainable development institution as a whole and to shift the priorities of the society at large. No significant progress in history was ever accomplished without an ethical emphasis, sincere loyalty, genuine affection, and authentic convictions" . "Certain conditions need to be met in order for any society to build the capacity to attain sustainable development while managing its environmental resources. The key conditions are organizations and institutions, human resources, information base, and public involvement. These four conditions are highly interactive, mutually dependent, and self-reinforcing. Significant synergy exists among them. Improvements in one condition can often improve the effectiveness of the other conditions, while deterioration in one condition may erode the effectiveness of the others" . Based on these reasons, the researchers and planners in the region call for adopting the himā system in future plans. The aforementioned NCWCD report states that "some of the measures that are needed to achieve this include: …. (3)- Investigate different methods of rangeland management, including systems based on nomadic pastoral as well as traditional hima systems ." In another place it says: "The National Commission for Wildlife Conservation and Development (NCWCD) adopted a rational approach for the selection and prioritisation of potential protected areas from the outset. This aims to provide the most effective conservation of the biodiversity and to optimize the socio-economic benefits that are derived from the protected areas. The criteria are summarized below… Traditional and local conservation initiatives, such as himas, wildlife conservation initiatives, agricultural terraces and other rainwater harvesting systems" . Also in the same report we read: "With over six thousand years of bio-cultural diversity in the region it is only to be expected that there is a wealth of indigenous knowledge on how to use natural resources sustainably. Local traditions for use of resources provide a basis that can be elaborated into programmes for linking the conservation of renewable natural resources with sustainable national development. Functioning local himas, agricultural terraces, rainwater harvesting methods and wildlife populations that are protected by local people all provide initiatives of tremendous value for achieving the objectives of the conservation of biodiversity" . Some traditional himā-s serve as new tourism sites after restoration. The NCWCD conservation body has been responsible for surveying, recommending and administering a number of protected areas. It identified 56 terrestrial sites and 47 marine and coastal sites as suitable for proclamation as protected areas. It started with a few of them to increase the number gradually. The newest one is Ajā Mountain range and the north of Hā'il city, where a traditional himā existed in the near past . It is of importance to wildlife, where the site lies at the centre of the spring flyway for the threatened African wintering population of Gus virgo. In addition there is an impressive spring migration of swifts, larks and wheatears, together with a wide range of raptors. Other characteristic avifauna are the houbara bustard (Chlamydotis undulate), Lichensteins sandgrouse (Pterocles lichtensteinii), and chestnut-bellied sandgrouse (Pterocles exustus) . Recently in 2005 the site was declared as a protected reserve with facilities to be developed for desert tourism . The new generations of the tribes people in the area work in modern jobs. The residential areas are not anymore composed of one tribe. The demography has changed from homogeneous tribes to heterogeneous communities. This necessitates new forms of authorities to replace chieftains and tribe councils. Loyalty is now for the community and the employing company. As we mentioned before, transportation, felling trees and agriculture are being carried out with machines. This new powerful machinery requires strong rules and modern ways of control (e.g. aircraft). The state is the one who can handle this task. For these reasons, the NCWCD report is mentioning the traditional himā system as one of the measures or criteria to be considered. The modern ways of administering natural reserves can replace the traditional system in urbanized and large scale areas. In addition, politicians need to give more authority to the researchers and the scientific approach. As we saw before, O. Draz's approach of reviving the traditional system was altered. This experience is telling us that many countries in the region are unfortunately lacking some of the essential factors which contribute to achieving the sustainable development. Whether we revitalize the cultural heritage or we do not, decision makers or politicians need to listen to what experts on each field are advising them to do. Hence the first factor to reach this situation is not environmental, but political. Unless we have changes in the political thought and decision making, we do not expect improvements of the ecological destruction and resource depletion . In the case of Saudi Arabia where a decree was issued in 1954 to declare the himā-s as public lands, and in the case of Syrian state intervention to alter the system that was designed by experts, Taylorism and democracy were on vacation. R. M. Alison, "Conservation by the Ancients", in 1983 Yearbook of Science and the Future. Chicago: Encyclopaedia Britannica,1983, pp. 112-25. J. Chehod, "Himā", in Encyclopaedia of Islam, vol. 3 (1971), p. 393. J. W. Bruce, Legal Bases for the Management of Forest Resources as Common Property, (Rome: Food and Agriculture Organization of the United Nations "hereafter FAO", Community Forestry Note 14, 1999), p. 48. A. A. Alabsi, Country Pasture/Forage Resource Profiles: Yemen. Rome: FAO, Grassland and Pasture Crops Group, 2002. Omar Draz, "The hemā in the Arabian Peninsula", al-'Arabī (Kuwait), in Arabic, 211 (June 1976), pp. 52-9. S. Nomanul-Haq, "Islam and Ecology: Toward Retrieval and Reconstruction", in Islam and Ecology, edited by R. C. Foltz et al. Cambridge, Massachusetts: Harvard University Press, 2003, pp. 121-54. O. Draz, op. cit., "The hemā", p. 55. J. Chehod, "Himā", op. cit., p. 393. O. 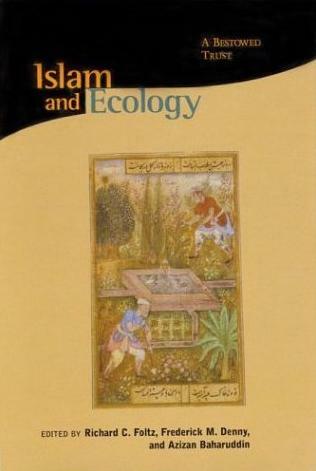 A. Llewellyn, "The Basis for a Discipline of Islamic Environmental Law", in Islam and Ecology, op.cit., pp. 185-247; on p. 212. A. al-Samhūdī, Wafā' al-wafā bi akhbār dār al-Mustafā [on the history of Medina]. Cairo: Sa‘ādah Press, 1954, vol. 3: p. 1087. 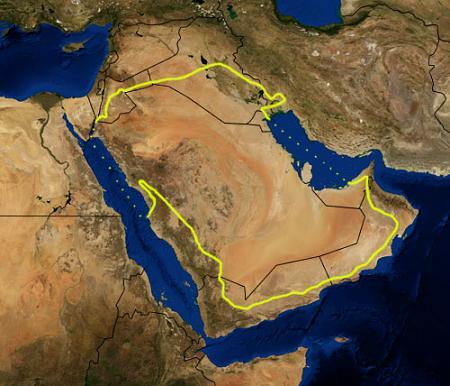 In pre-Islamic Arabia, the term haram was used to define inviolable zones. In Islam the same term became specific to define Mecca and Medina as inviolable sanctuaries within which the injury of wild animals and plants is forbidden. The term harīm stands for inviolable zones within which developments are prohibited or restricted to prevent the impairment of utilities and natural resources. In Islamic jurisprudence, every town and village should be surrounded by an inviolable zone within which the right to acquire vacant land through its development is restricted. These municipal common lands are to be managed by the people of the settlement to provide for their needs such as forage and firewood and the like, and to facilitate their use and development of it in the manner most conducive to their long-term welfare. Sources of water such as seas and lakes, rivers, springs, wells, watercourses, and utilities such as roads and squares should have inviolable zones resembling easements to prevent their impairment, to facilitate their use and maintenance, and to preclude nuisances and hazards. The governing authorities have the right and obligation to prevent the violation of these zones. See AbubakAr Ahmed Bagader et al., Environmental Protection in Islam, 2nd edition. Gland, Switzerland: IUCN-The World Conservation Union, 1994. S. Nomanul-Haq, "Islam and Ecology: Toward Retrieval", op. cit., p. 144; O. A. Llewellyn, "The Basis for a Discipline…", op. cit., p. 213. The term "Companion" is used for the followers of the Prophet Muhammad who were contemporary of and met him. O. A. Llewellyn, "The Basis for a Discipline", op. cit., p. 213. Ibid, p. 212; M. S. al-Alūsī, Bulūgh al-Arab fī Ahwāl al-‘Arab [On the Conditions of the Arabs]. Cairo, 1925, vol. 3: pp. 31-36. S. Nomanul-Haq, "Islam and Ecology: Toward Retrieval", op. cit., p. 144. J. W. Bruce, Legal Bases, op. cit., p. 49; M. ibn al-Athīr (d. 1209), Jāmi'al-usūl fī ahādīth al-Rasūl [Compendium of Prophet's sayings]. Damascus: Halawānī Bookshop, 1970, vol. 9: pp. 309-312. Abū ‘Ubayd al-Bakrī, Mu‘jam ma-‘sta‘jam min Asmā' al-Buldān wa al-Mawādi' [Geographical Dictionary]. Edited by Mustafa al-Saqqa. Cairo: Committee for Composition, Translation and Publishing,1945-51, vol. 3: p. 1035. Ibn al-Athīr, Jami' al-usūl, op. cit., vol. 9: pp. 311-312. Al-Alūsī, "Bulūgh al-Arab", op. cit., vol. 3, pp. 33-34. Abū Ya‘lā, al-Ahkām al-Sultāniyyah [The Ordinance of Governance]. 3rd reprinting. Cairo: al-Bābi al-Halabi Publisher, 1987, pp. 231-33. A. al-Samhūdī, Wafā' al-wafā, op. cit., pp. 1091-93. Al-Rāshid, Sa‘ad A., al-Rabadhah: A Portrait of Early Islamic Civilization in Saudi Arabia. Riyadh: King Saud University, 1985. Sa‘īd D. al-‘Utaibī, Mawqi‘ Dhariyyah [Dhariyyah Site: Archaeological Field Study]. Unpublished doctoral thesis in Arabic. Riyadh: Department of Archaeology and Museums, College of Arts, King Saud University, 2005, pp. 178-181. Al-Hawās, Fahad, The Archaeological and Architectural Remains of the Ancient City of Faid in the Province of Hā'il in Saudi Arabia. PhD Thesis, University of Southampton, 2003. See the reviews published in Al-Riyadh (newspaper) on Faid excavations, issues 13815 on 21 April 2006 and 13822 on 28 April 2006. As stated by Bagader et al. : "Islam encourages individual Muslims to participate in the conservation and wise development of the environment through various gifts, bequests, and loans. The most important institution of Islamic law in this regard is the charitable endowment (waqf), which constitutes the major avenue for private contribution to the public good. The waqf may take the form of a land trust dedicated in perpetuity to charitable purposes such as agricultural and range research, wildlife propagation and habitat development, a village woodlot, or a public cistern, well, or garden; or it may take the form of a fund or endowment for the financing of such projects. The governing authorities may set provisions and standards for such waqf lands and funds, and for the qualifications of their managers, so that the benevolent objectives of such projects may be effectively fulfilled." See A. A. Bagader et al., Environmental Protection, and Doris Behrens-Abouseif et al. "Waqf", in The Encyclopedia of Islam, vol. 11 (2002): pp. 63-74. O. Draz, "The hemā in the Arabian Peninsula", op. cit., p. 55. Report published by the Syrian News Agency (SANA), 02 November 2004. M. A. Eben-Saleh, "Environmental planning and management for the Assarawāt highland region of south-western Saudi Arabia: the traditional versus the professional approach", The Environmentalist, issue 20/2 (June 2000): pp. 123-39. S. al-‘Ali, "The himā in the first hegira century (7th century CE)" (in Arabic), al-‘Arab (Riyadh), 7 April 1969: pp. 577-95. M. A. Eben-Saleh, "Land Use and Planning of Vernacular Landscape in Highlands of the Southwest of Saudi Arabia", Journal of Sustainable Forestry, vol. 7/3-4 (1998): pp. 53-76. R. Blench, Rangeland Degradation and Socio-Economic Changes among the Bedu of Jordan: Results of the 1995 IFAD Survey. Rome: FAO, the Pastoral Development Network "PDN", 1999, p. 17. J. W. Bruce, Legal Bases, op. cit., p. 48. R. Blench, Rangeland Degradation, 4, 17. M. A. Eben-Saleh, "Environmental planning", op. cit., p. 130. Saud L. al-Rowaily, "Rangeland of Saudi Arabia, Tragedy of Commons", Rangelands, vol. 21/3 (June 1999): pp. 27-9. O. Draz, "The hemā", op. cit., p. 54. Eben-Saleh, "Land Use and Planning", op. cit., pp. 64-5. A. H. Abu Zinada et al., The First National Report for the Convention on Biological Diversity. Riyadh: The National Commission for Wildlife Conservation and Development "NCWCD", 2003, p. 35. Bruce, "Legal Bases", op. cit., p. 113. L. Triulzi, "Empty and populated landscapes: the Bedouin of the Syrian Arab Republic between development and state", in Land Reform 2001/2. Rome: FAO, 2002, pp. 30-47. A. A. Alabsi, Country Pasture/Forage Resource Profiles: Yemen. M. Bounejmate, B. Norton and A. Gruggeman, "Changes suffered by the Mediterranean rangelands in the recent past: ICARDA's experience", Medias Newsletter, vol. 13 (June 2002): pp. 21-30. O. A. Llewellyn, "The Basis for a Discipline", op. cit., p. 215. S. A. Hamed, "Capacity Building for Sustainable Development: The Dilemma of Islamization of Environmental Institutions", in Islam and Ecology, op.cit., pp. 403-21, see p. 409. Abu Zinada et al., First Saudi Report, op. cit., p. 53. NCWCD, Wildlife Newsletter, 6 (May 2005) and personal communications with a NCWCD researcher. Llewellyn-Smith, Robert. Red Sea Nubo-Sindian tropical desert and semi-desert (Washington, DC: World Wildlife Fund, 2001). S. A. Hamed, "Capacity Building", op. cit., p. 417. * P. O. Box 30344, Yanbu al-Sinaiyah, Saudi Arabia. The article was published originally as Lutfallah Gari, "A History of the Hima Conservation System", Environment and History (The White Horse Press, Cambridge, UK), vol. 12, No. 2. (May 2006), pp. 213-228. In the present version, copy editing, images and captions were added (the editor).